A splendid morning at Tremenheere | Crowlas & Ludgvan W.I. 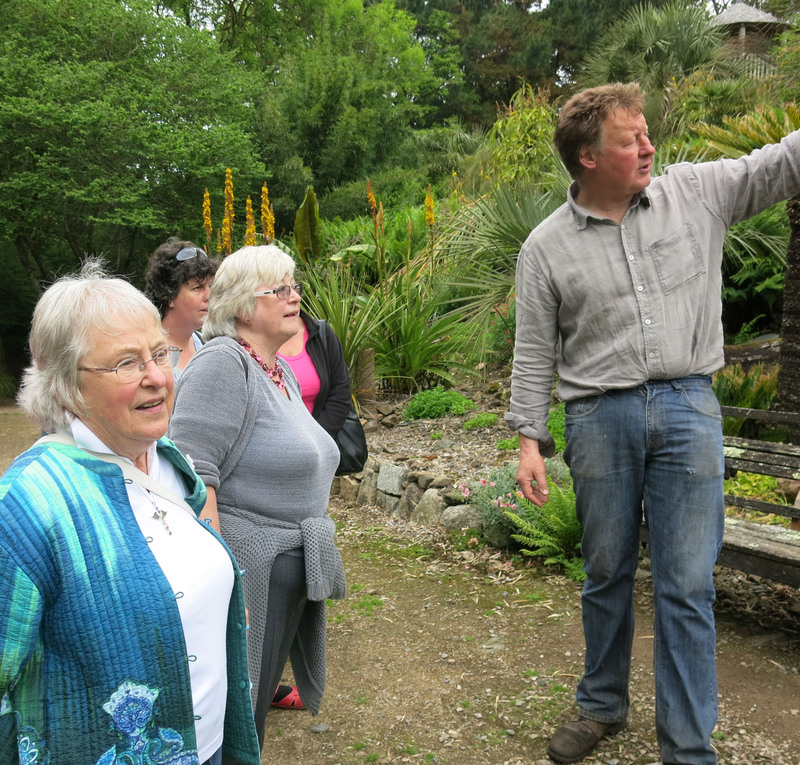 The weather was definitely in our favour this morning as a group of us were treated to a wonderful tour of Tremenheere Sculpture Gardens, led by Dr Neil Armstrong, creator of the gardens. What we’d thought was going to be a rainy day turned into an absolutely perfect one. Dorothy Oliver and Kathy Merrett. Most of you will probably remember Neil’s talk to our group last October. We were so inspired by what he had to say and were delighted when he offered to give us a tour. 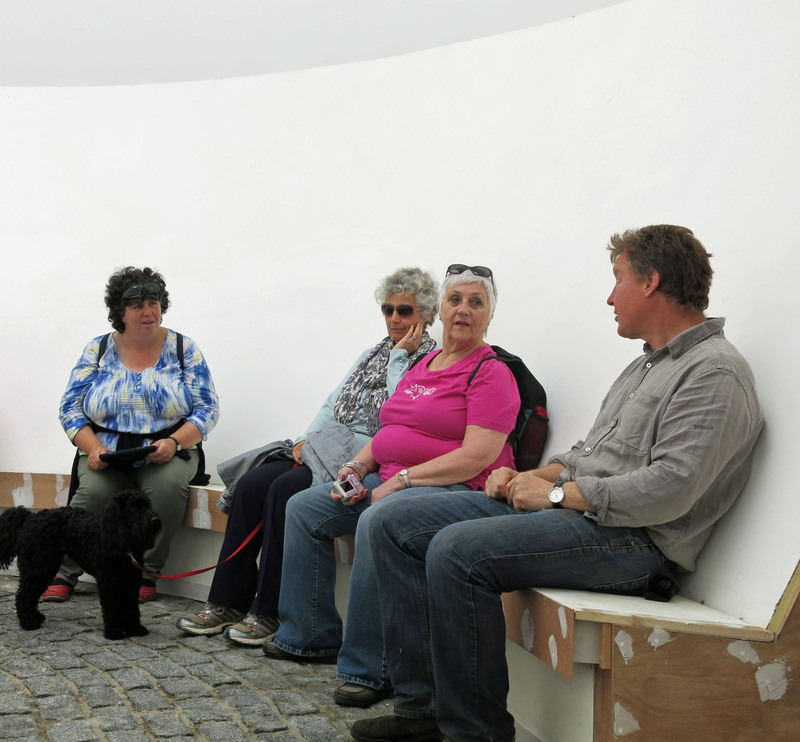 Sue Knights, Ruby, Jane Twose and Pam Smith listen to Neil Armstrong talking about the Skyspace. Neil led us along tranquil paths around ponds overhung with ferns, through an exotic woodland of palms and bamboos that felt almost like a jungle and emerging onto arid slopes with breathtaking views over to St Michael’s Mount. 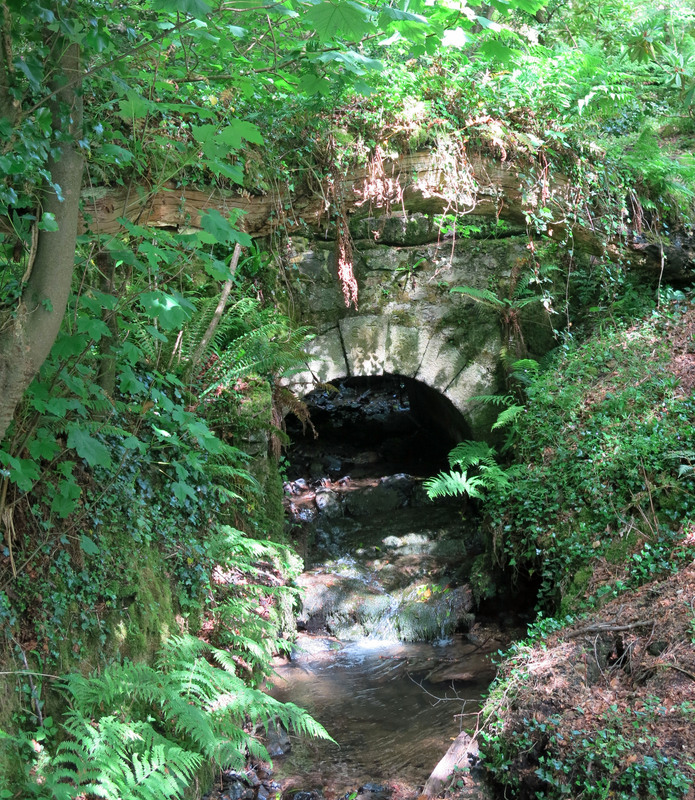 Dappled sun on Seymour Tremenheere’s bridge (which bears his intitials and the date 1849). 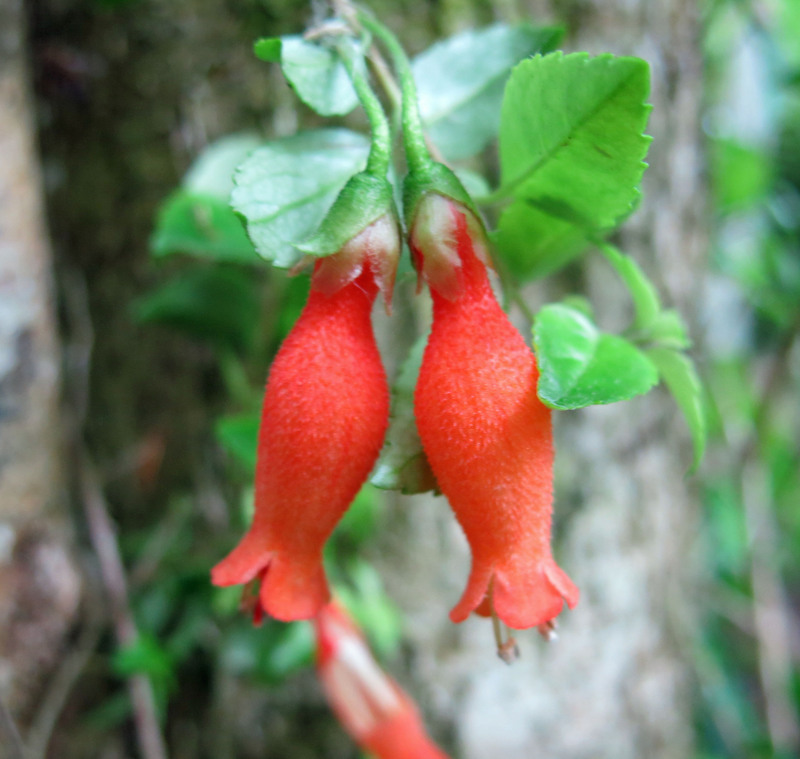 All the while he pointed out unusual plants, running through their names faster than my brain could keep up with! Nestled at various spots throughout the garden are spectacular sculptures and works of art, spaced as Neil explained to us, “randomly, but evenly”. We saw James Turrell’s wonderful Skyspace, the beautiful ‘Black Mound’ charred oak piece by David Nash and two pieces by the very talented Kishio Suga. 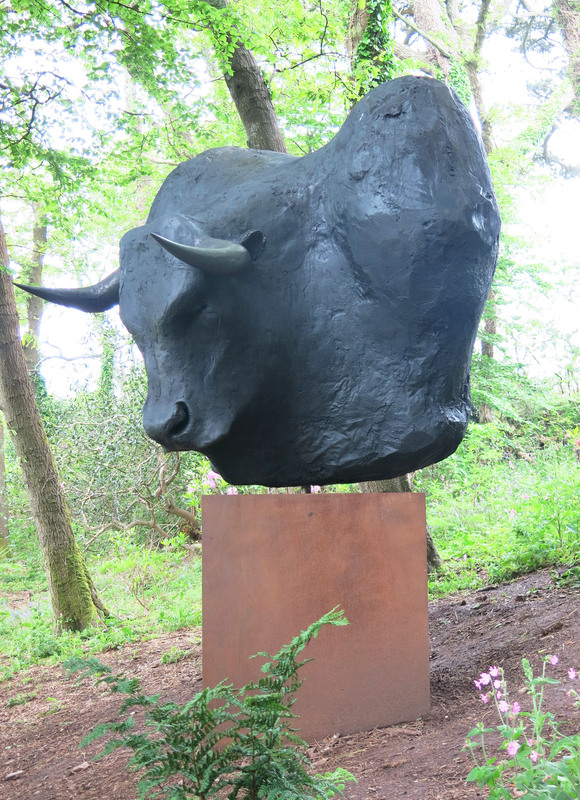 Tim Shaw’s ‘Minotaur’ – new this year. We were told about a new sculpture which will be arriving tomorrow – a highly-polished silver skip! It will be placed near the entrance to the gardens. “People can make up their own minds about it,” said Neil. You read it here first! 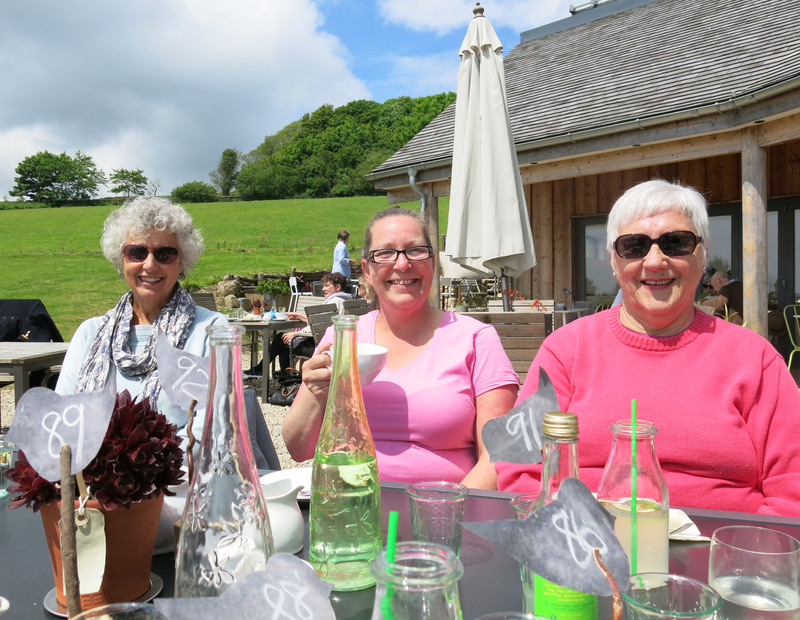 After our tour, we sat outside in the glorious sunshine and had lunch at The Lime Tree Cafe. Over delicious plates of food, we talked about morning and how much we’d appreciated Neil sharing with us his incredible passion for the gardens. If you haven’t yet been, you’re missing out on something very special! Jane Twose, Tracy (Pam Smith’s sister) and Pam Smith enjoy the sunshine. See more photos of our day here. This entry was posted in Uncategorized and tagged outings, Tremenheere. Bookmark the permalink.